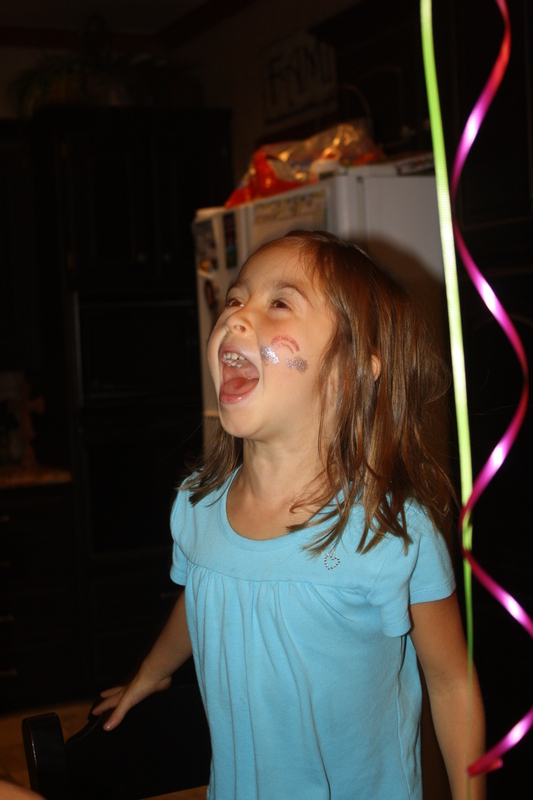 Caroline is 6 years old! 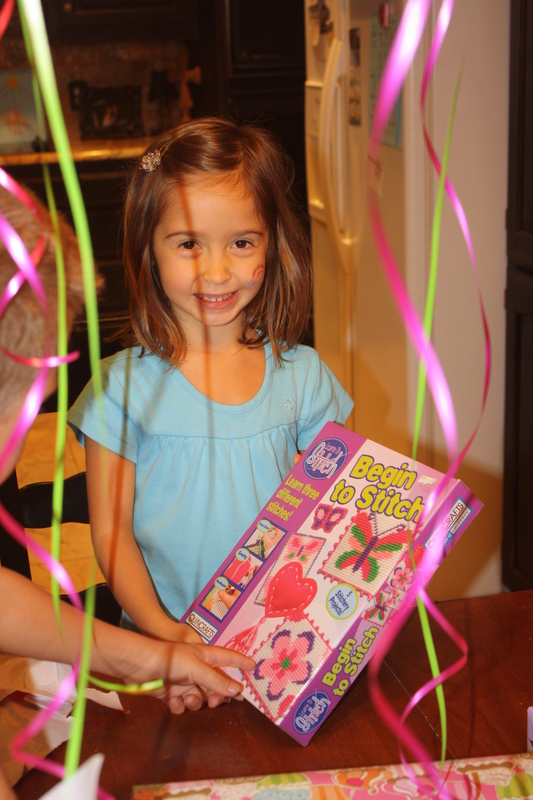 Sweet and precious Caroline turned 6! She has been counting down the days until her birthday. She had been helping me plan her party with her friends, but she had no idea what we were going to do on her actual birthday. 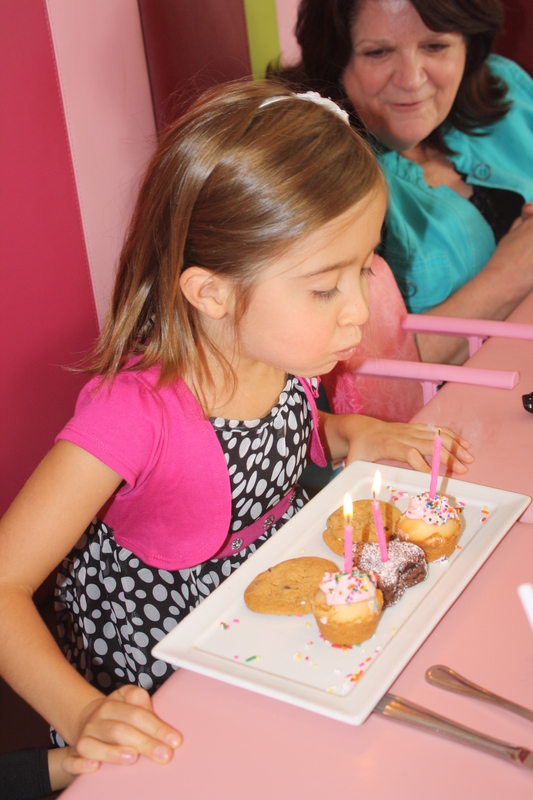 She woke up the morning of her birthday to a decorated house…presents on the table…and a cookie cake for breakfast! She opened a few presents that were arts/crafts. Then she opened a present that was a new outfit to wear and we told her she had to wear it to where we were going. (she was a little confused). The last gift was a matching doll outfit…and she still hadn’t figured out where we were going. When we told her we were eating lunch at the American Girl Doll store she started screaming:). She was super excited!! She has been saving her money since January. She has not spent a dime and had saved $70. 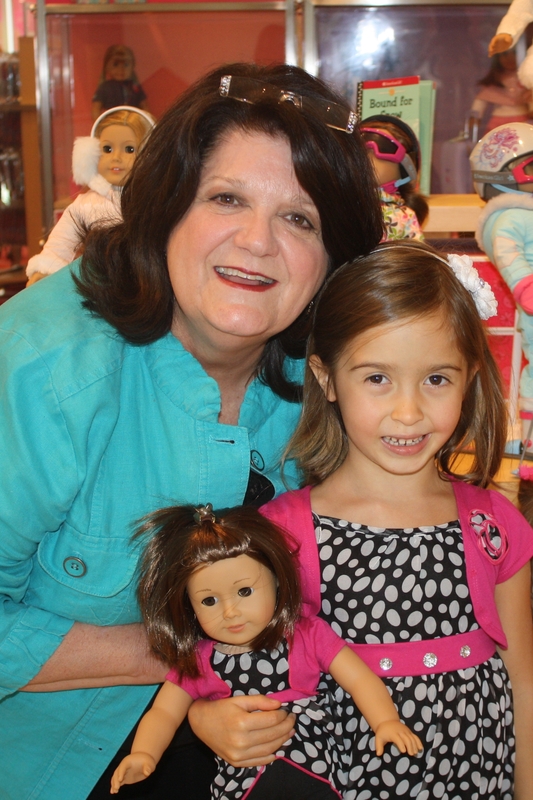 We were all getting dressed and ready to go when she whispers to me, “Mom, I haven’t saved enough to buy a doll today.” That’s when I told her that we would be buying her a doll…and she could buy accessories. She was giddy. What is this little doll outfit for? We pulled up to the store and Caroline walked in all wide-eyed. We followed her around the store as she looked at each doll. She had talked about buying McKenna (the gymnast), Kit (because she read all the books), or Caroline (because of the name). She had been talking about this for 7 months. It made me laugh when she didn’t pick out any of the above. 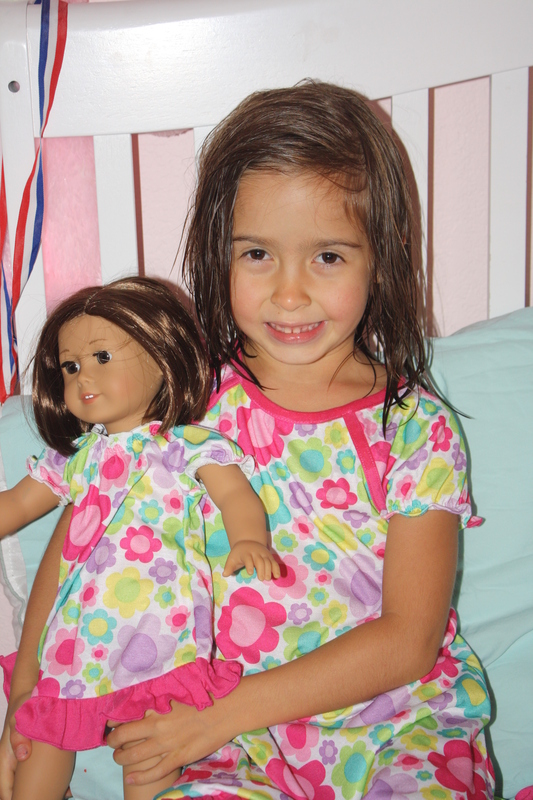 The one she decided on was a “like-me” doll. You get to pick out the hair color, eye color, and name her. 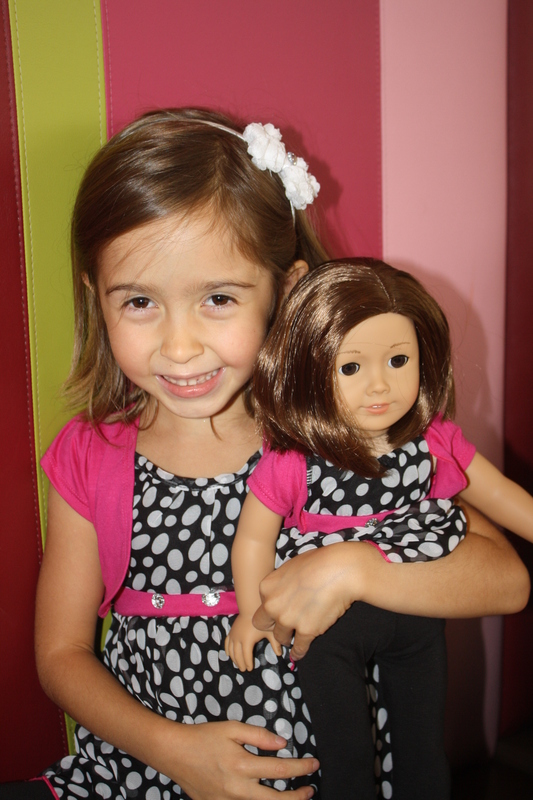 The doll looks just like Caroline and she named her Rachel! 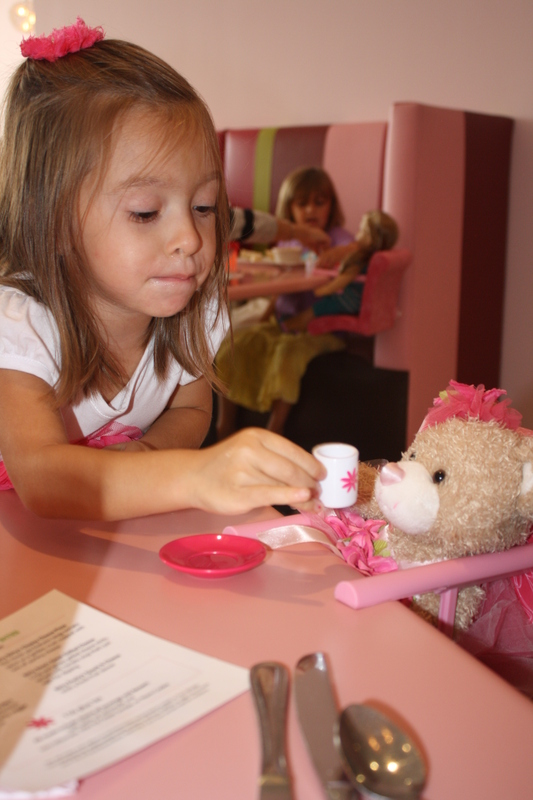 After Caroline picked out her doll we went upstairs to the American Girl Bistro to eat. It was really darling. They hook a tiny chair to the table for your doll to sit in. 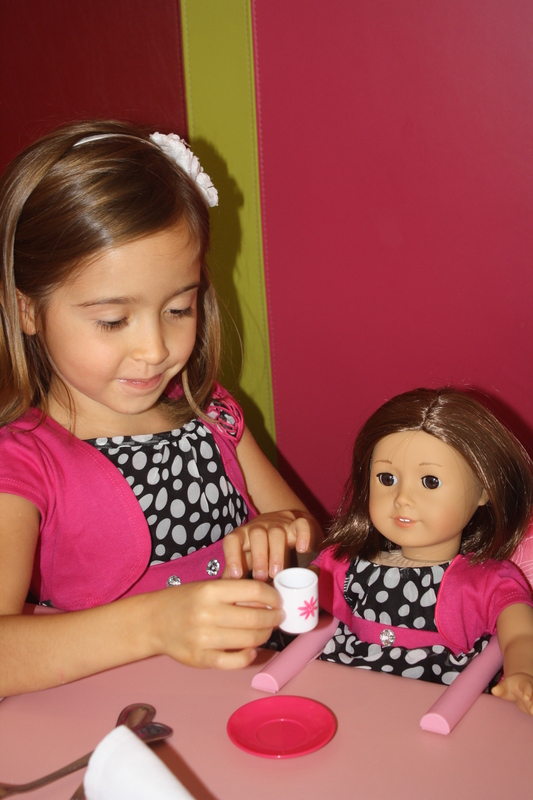 They bring your doll a little cup of lemonade to drink. Caroline had a smile on her face the entire lunch. 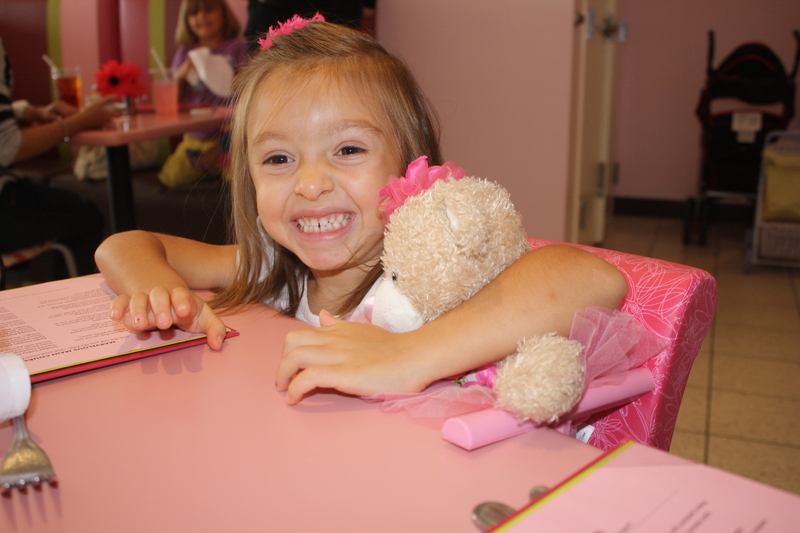 Leighton enjoyed taking her bear to lunch. We all had a wonderful time celebrating Caroline! We were glad that MiMi got to come with us! 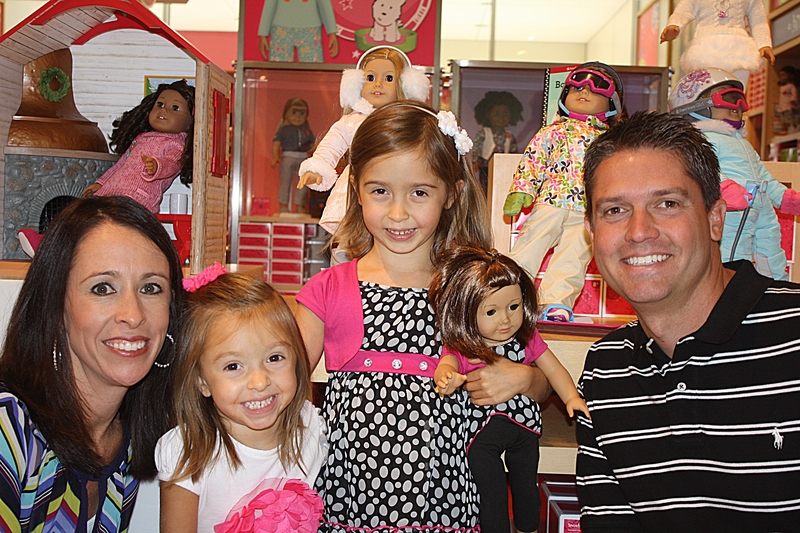 Carter spent the afternoon with a friend…but when we got home he was excited to see which doll Caroline had picked out! Later that evening MiMi and Grandad came over to let Caroline open her present from them. 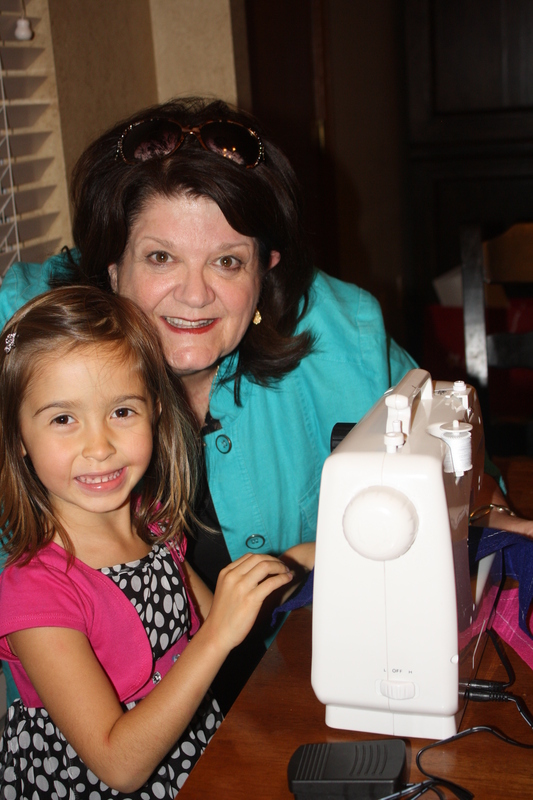 She was beyond thrilled with a new SEWING MACHINE!! 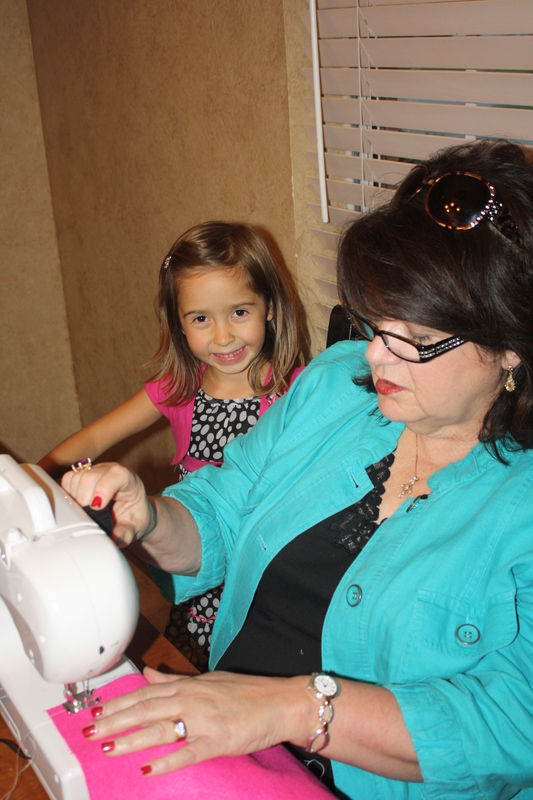 MiMi set it up for her…taught her…and she is a pro! 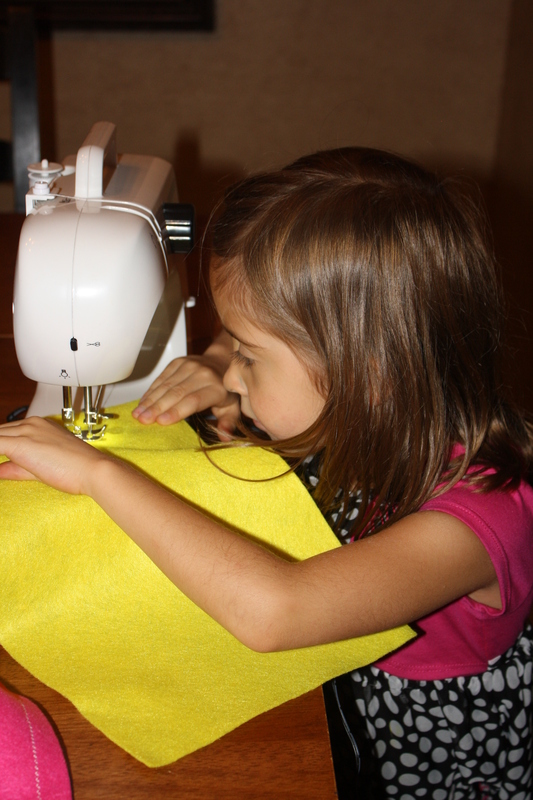 She has already made numerous things…including a pillow for her doll! She doesn’t even ask me for help. 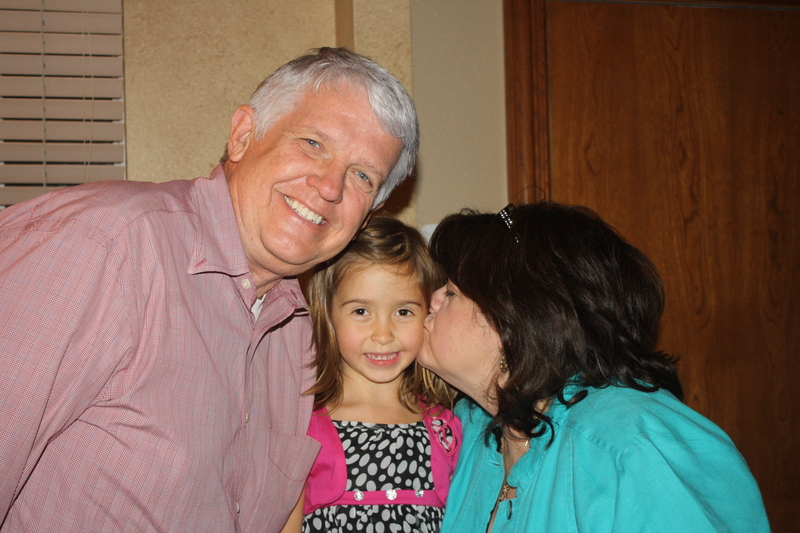 We love MiMi and Grandad! All of the fun and excitement from the day…wore Caroline out! 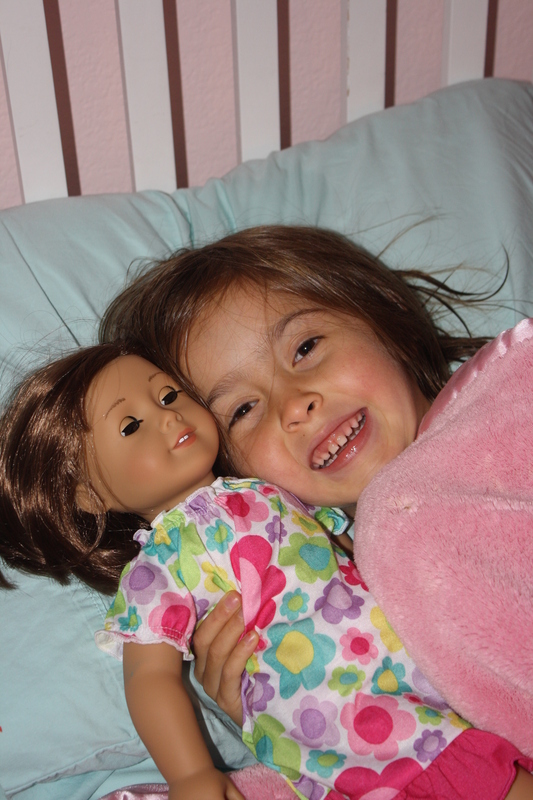 She gladly changed into jammies and climbed into bed with Rachel. Good night sweet Caroline…we thank God for the gift of being your parents! Leighton has been BEGGING to go to school for over a year. 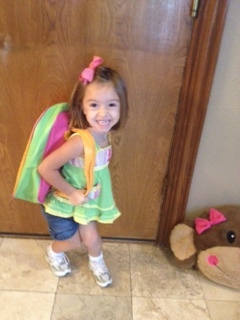 Last year after we would drop Caroline off in her class, Leighton would cry saying, “Leighton class? Leighton class?” She could not wait for her turn! All summer long we talked about her going to school and she would always ask how much longer. We got the letter saying she was in the Tiger class. 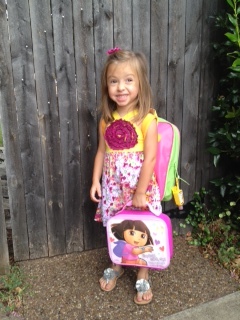 For the next 3 weeks before school actually started she would go to bed at night and ask EVERY night, “Am I a tiger tomorrow?” She picked out a backpack online…we went to the store and she picked out a Dora lunchbox…she got a nap mat. She was all ready! I had to work on her first day of school, so Ben got her all dressed and ready. She ran right in and sat down at her table and begin playing. It’s been 2 weeks now and she still asks every night if she has school the next day. 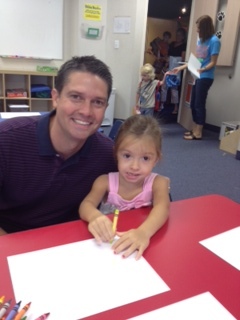 She loves her teachers and loves seeing her little friends. She enjoys going to chapel to sing and she loves painting with “dot dot” paint. Every time she brings something home from school, she is so PROUD. She takes great care of it and wants it displayed on the refrigerator. She has been the first of my 3 kids that wants to go to pre-school. 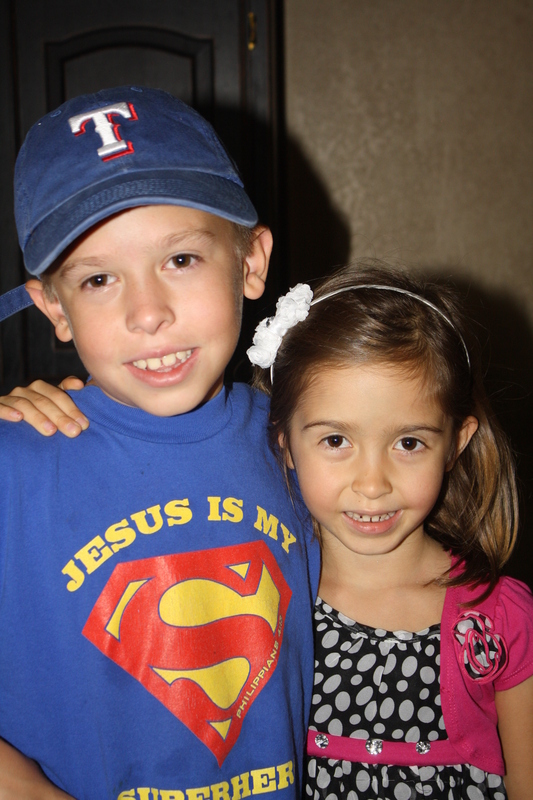 Carter and Caroline would’ve chosen to stay home and play ANY day over going to pre-school. She is definitely my social butterfly…she loves to go, go, go! She is also in a phase of wanting to have her picture taken. 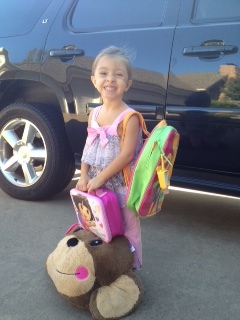 So when we get ready for preschool she asks that we take her picture…AGAIN. I love it that school makes her so happy!